Sometimes it’s convenient to wrap up the big numbers for a headline (and the bigger the number, the better the headline, right?) but the fact is that it can be meaningless to a reader. Not saying I’m going to completely stop putting Big Numbers in headlines, but I’ll certainly think about whether I’m making it easier or harder for readers to decipher whether justice was done*. 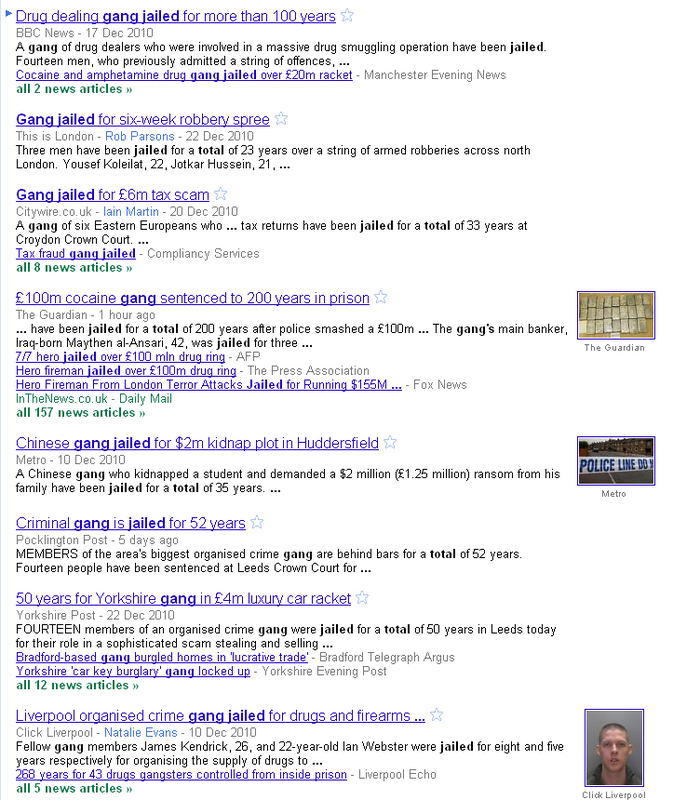 After all, a ten-strong gang jailed for a total of 100 years could well equate to10 years apiece, and each defendent might serve seven years of that sentence. Which is actually not that long. * So well done Click Liverpool for a nice clear intro, which I didn’t spot it until after my screengrab.